Denver Locksmith - Kwik Set, Schlage, Baldwin, Emtech. Safes of all sizes, gun safes, fire proof safes and more. 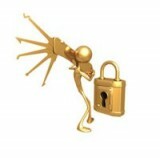 Denver Locksmith 24hr Locksmith company serving Denver, Colorado and the entire Denver metro. Denver Locksmith provides the Solution for all your locksmith issues whether its auto,commercial and residential locksmith service.